The climb up to the top was indeed rewarding. 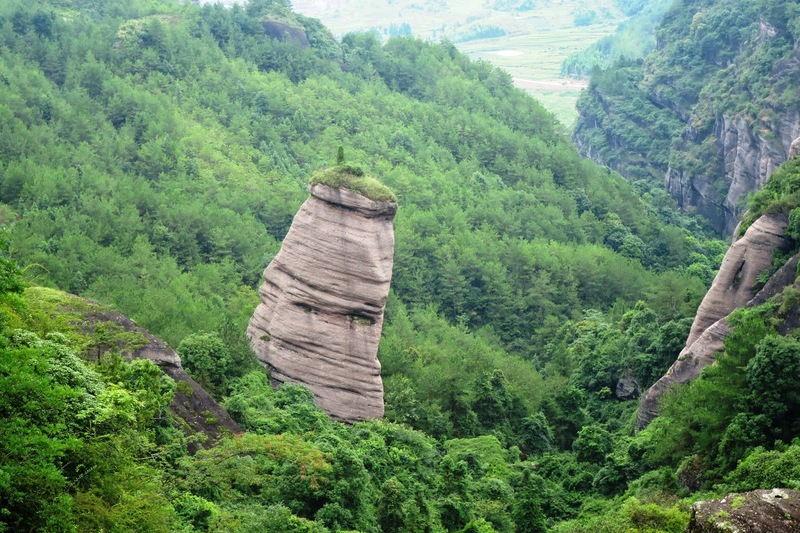 You'll have the picturesque view of the Danxia peaks, as well as the valley. The locals named that funny little peak that pops up 'The Source of Life'. The hike took around 4 hours, including the boardwalk and the boat cruise. 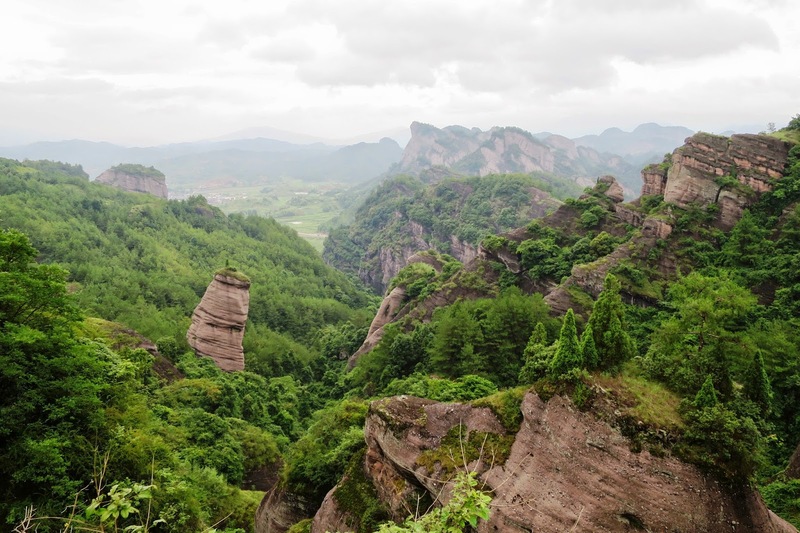 Unlike many other tourist destinations in China which are noisy and packed with tourists, the morning hike is a place off the beaten track. There were no busy tour guides talking noisily on microphones, or excited visitors pushing or those who cannot wait to talk loudly over their mobile phones to share their findings with their friends. What's accompanied us were only chirping of the birds and cicadas. Our next stop was the Hakka Village Peitian. The village is deep in the mountains, but the visit indeed worth the travelling time. It belongs to the Wu Clan. 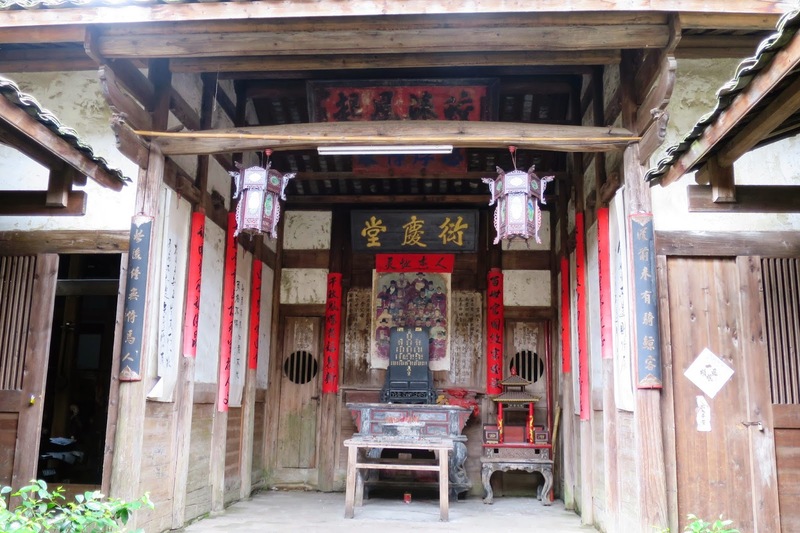 A few of their ancestors were awarded positions in the government during the Ming and Qing dynasties, and this honor was reflected in the architecture - there were halls and ancestor halls built for these officers. 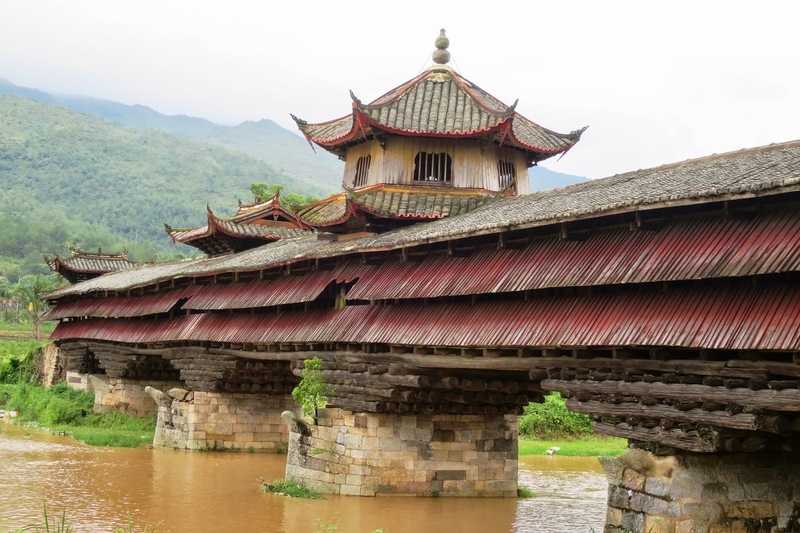 The architecture is distinctively Hakka. 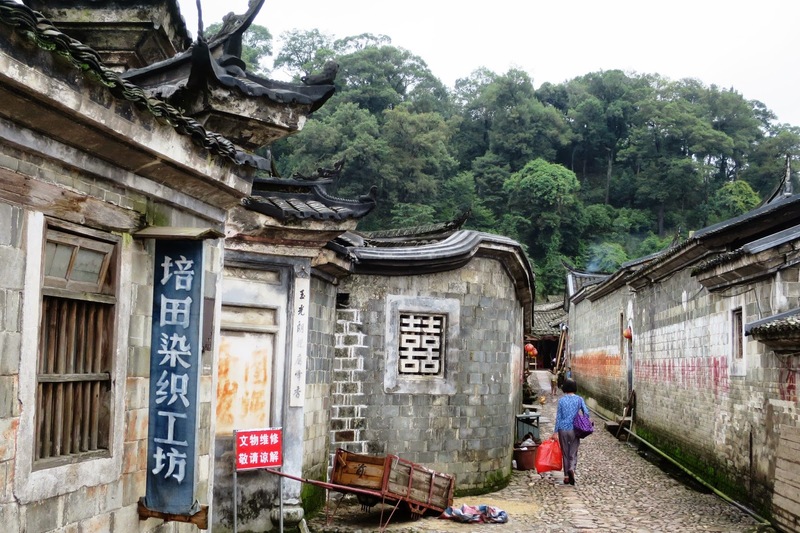 Today, there are still some 1,000 Hakka, all named Wu, living in the village. 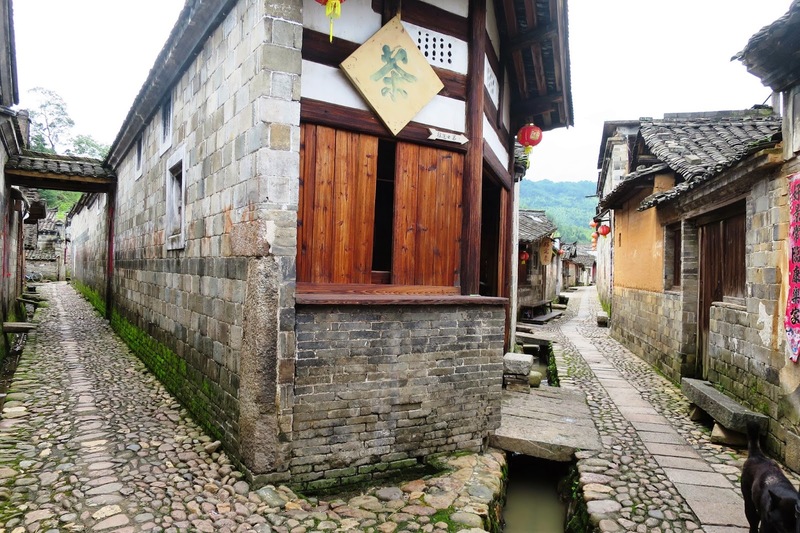 The grand halls, the paved cobble stones roads, the theatre -you can imagine how wealthy and powerful these Hakka clan was in ancient time. A stroll along the village will take you down the memory lane of the peaceful, happy and self-sufficient life in a local village. Liancheng is only 4 hours by train from Shenzhen. 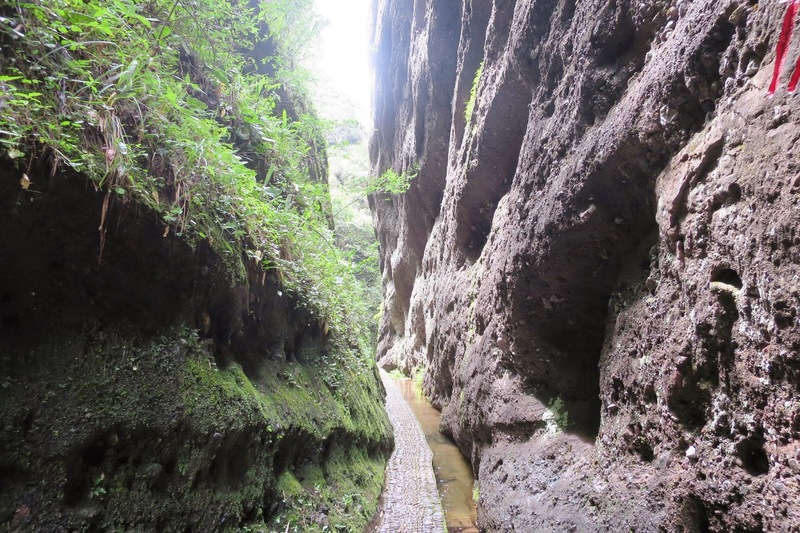 The spectacular landscape, the Hakkanese heritage and the hike offers a rich programme. 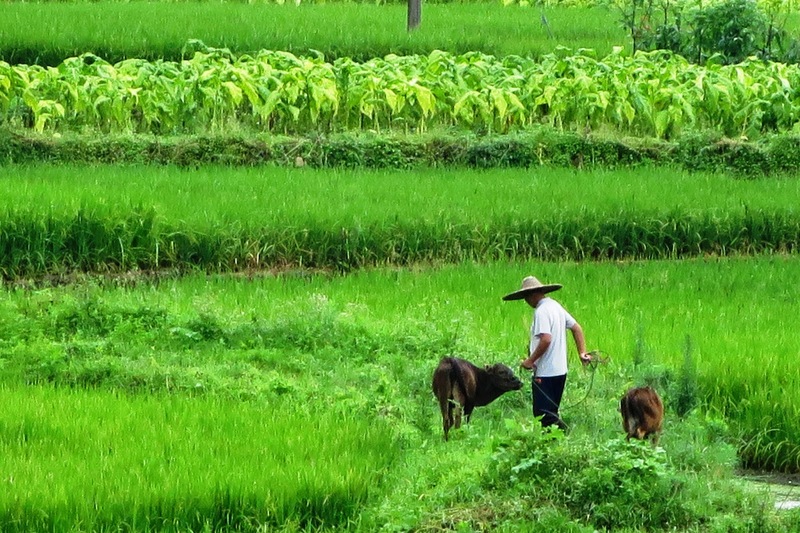 What's more, you'll pass through paddy fields and duck farms along the way which many city dwellers miss.